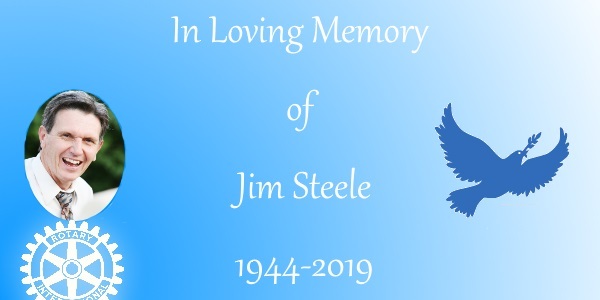 It is with great sadness that we announce the passing of one of our Charter members, Jim Steele. Jim passed away this past Sunday (February 24th, 2019) after a battle with leukemia. He was a great friend in Rotary and in life, being very close with some of our "senior" Rotarians. Jim was originally a member of the Downtown Rotary Club in December 1995, before moving on to join Sunrise Rotary in March 1998. He served on our Board of Directors from March 1998 to June 1999. Jim was a great Rotary for Roses salesman and he is featured here on Blackburn News from our 2017 Rotary for Roses campaign. Something of note was that Jim won our 50/50 draw during Paul Roy's celebration before Christmas and donated his winnings back to our ShelterBox Fund. 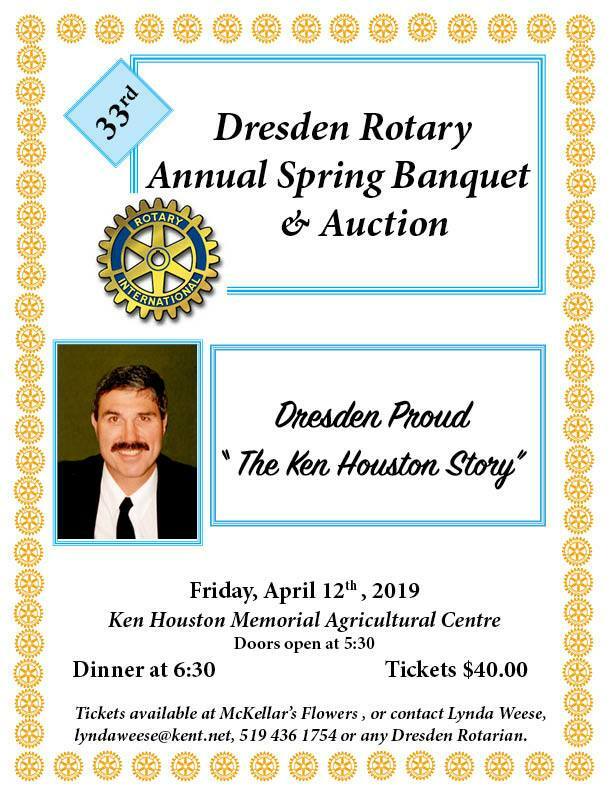 In lieu of flowers, his family has requested donations be made either to the Foundation of the CKHA or our Sunrise Rotary Club. A link to Jim's formal obituary can be found here. 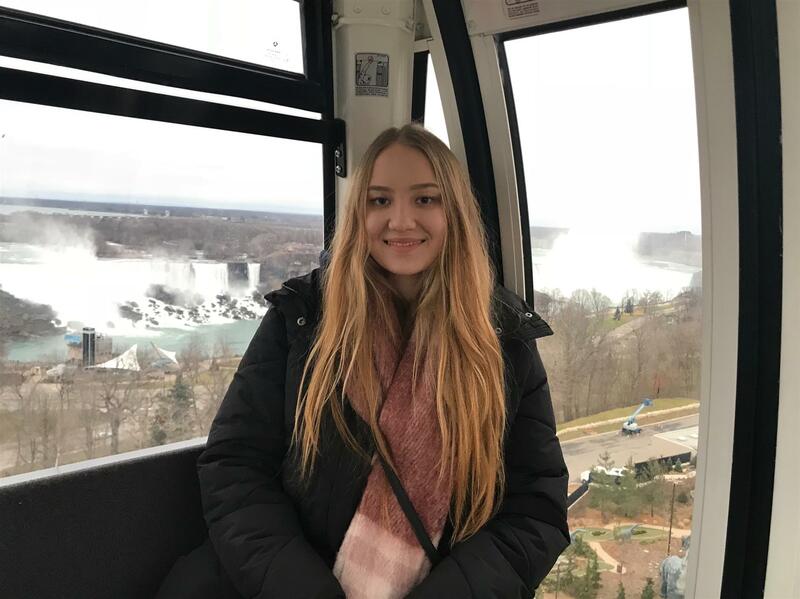 This Tuesday morning, we are pleased to welcome 17 year old Grade 12 student Nikola, from Tychy, Poland. 900+ students, which is considerably larger than her current school in Pain Court. Nikola says she misses being able to take public transportation whenever she wants and misses being independent. She mentions that school here is not as demanding and strict as it is in Poland. Many of our teenagers hold part-time jobs, which is nearly impossible with the education system in Poland. Nikola hopes to attend school in the future for sociology and humanities, as she is not sure what her dream job is yet. Nikola has a 22 year old brother who went exchange with Rotary to Brazil three years ago. She also has a small Maltese dog named Pati. One of the things that Nikola enjoys about Canada is that our cuisine is very multicultural. Although, she does admit that she enjoys that we eat a lot of bacon all the time. One of her favourite dishes in Poland is called 'bigos', which is a traditional Polish meal with sausage and cabbage. Nikola has enjoyed traveling since arriving in Canada, including every dinner or game that she's had with her host families. She is leaving Canada on June 21st, and would love to see Quebec City or Montreal. Her biggest dream would be to see British Columbia, but she understands that is far from C-K. She wishes she could see more of Canada and our beautiful lakes and views. Last Tuesday morning we heard from Margaret Schleier Stahl, with her classification talk. One of Margaret's most inspiring stories was that of a nurse who took care of her ailing father at Meadow Park Long Term Care Home. Imagine for a second as Margaret stated, that you had an impact on someone you didn't even realize, until many years later. Her father's nurse that night, was a woman who had sat in one of Margaret's career workshops years ago. Margaret had instructed the group to reveal their dream jobs, and then dream one bigger. This single mom of three, was forced to mouth the words, she had never in her wildest dreams believed would come true seven years later: "nurse". Through the help of family and friends, this anonymous woman, who Margaret called Jane, persevered to become both a PSW and a registered nurse. Margaret has two adult children; Brandon & Morgan. Margaret has many reasons to be extremely proud of both of them as Morgan has just secured a position with the Economic Club of Canada as Director of Operations and Brandon, a newly hired supervisor at Aphria in Leamington. As acknowledged in last week's Sunriser, Margaret was on HGTV briefly (as her friend and her enjoy furniture painting) but joked that their show was cancelled after they appeared on air. Margaret's other brush with fame (at least locally) was running as a Liberal candidate in the last provincial election, where many acknowledged she was in for the battle of her life in the toughest riding in the province. Margaret had less than a 2% of winning her seat. In honour of the passing of charter member Jim Steele, this week's series of past Sunrisers will feature him. Jim Steele speaks about the World Trade Centre Collapse. Kelley & John Schinkel will be appearing on one of our local Blackburn News stations near the end of March to promote Roses for Rotary. As a reminder, Margaret Campbell will be one of our data collectors. Paper order forms were distributed at last week's meeting and are available below for download. On February 21st, 2019 at Ridgetown College, John was recognized for his diligent work with our club's "Clean Water for Living" program by the Lower Thames Valley Conservation Authority. 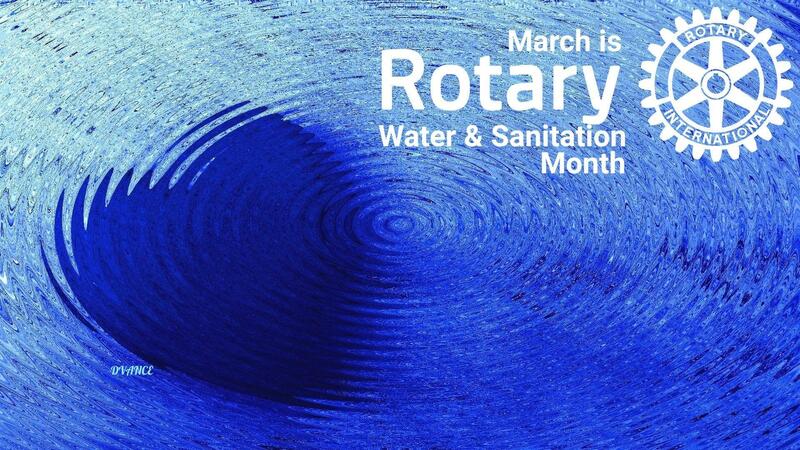 John initiated this unique program within our Rotary club which aims to increase awareness and inspire citizens on the importance of protecting our local water resources. John has traveled to many Rotary clubs throughout Ontario, Michigan & Ohio spreading the message of protecting our greatest resource: water. Thanks to the LTVCA for sharing their speech with me given in honour of John. Introducing our 2020-2021 Rotary Club President, Ken Bechard! Ken will be Kate Do Forno's President Elect for the upcoming Rotary year starting near the end of June. We will be talking about Water! Getting the most out of your Chamber of Commerce!